Christos Aravidis is eight years older than his team's average age, as he was born on 13.03.1987. 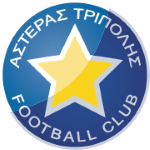 The club of Christos Aravidis, Asteras Tripolis, presently holds twelfth position in Super League (Greece) and first position in group Gr. 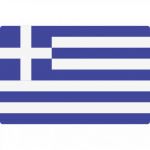 6 of Greece Cup (Greece). In terms of preferred feet, he is two-footed, like 13% of Asteras Tripolis. 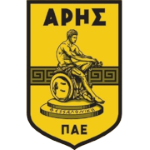 In February 2019, Greek, Modern (1453-) forward Christos Aravidis joined Asteras Tripolis (Greece), whom he is still playing for. He stands 178cm high and thus is 2cm smaller than his team on average. So far in the 2018/2019 season, he competed in 19 fixtures. On the whole, Christos Aravidis joined the pitch 47 times and left it 46 times after the start of the match. In the present term, he played less games from match start. 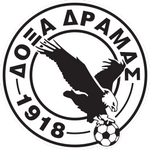 Besides Christos Aravidis, there are nine more forwards in Asteras Tripolis's lot: Anastasios Douvikas, Giannis Kotsiras, Michalis Manias, Alexandros Tereziou, Nikos Kaltsas, Giannis Bastianos, Marc Fernandez Gracia, Christos Albanis and Kosmas Tsilianidis. His jersey displays the number 13. From his professional start until now, he has performed in 206 matches in total and hindermost appeared six days ago. On average, he has participated in 10.8 matches per season. 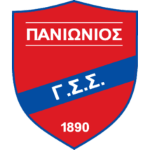 Christos Aravidis's longest stay in a team counts three years and a day in Panionios Athens (Greece). His best season was Football League 14/15 (Greece), because in this year he had his highest success in terms of goals. Already 31 times a card was given to him in his tenure. Christos Aravidis's shortest spell with a club currently counts two months in his latest side. He weighs 75kg which is just as much his team's average heftiness. 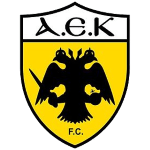 Before joining Asteras Tripolis, he impressed at AEK Athens FC, Akratitos, OFI Crete FC, Doxa Dramas FC, Ethnikos Asteras FC, Panionios Athens and Aris Thessaloniki FC. 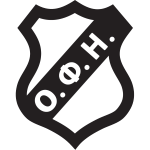 Christos Aravidis's squad concluded in a tie in 40% (60% home) in Super League and won 100% (100% home) in Greece Cup. The highest win streak of the last 3 matches happened in Greece Cup with a count of 3.